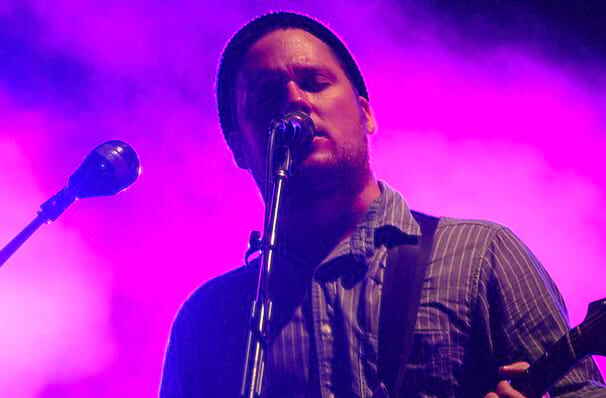 Indie cult rockers Modest Mouse are back and ready to take on North America again with select US dates! Catch them this fall when they tour their 2015 album, Strangers to Ourselves, and other hits, near you soon. Since 1993, Modest Mouse have been a by word for the ultimate in indie cool. With piercing and sometimes poignant lyric insights over crashing guitars, they made the mainstream with 1997's The Lonesome Crowded West but hit Platinum with 2004's Good News for People who Love Bad News that included alternative anthem 'Float On'. Brock has stated that a follow-up album to Strangers to Ourselves is currently in the making, and is a Part Two take on the 2015 album. Could this tour give fans hints of what to expect in the upcoming album? There's only one way to find out! Sound good to you? 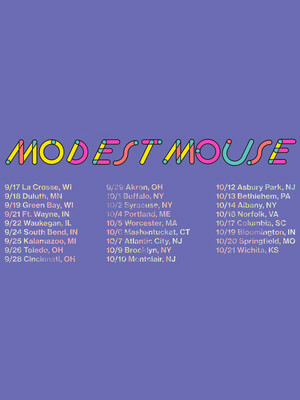 Share this page on social media and let your friends know about Modest Mouse at Verizon Wireless Center. Please note: The term Verizon Wireless Center and/or Modest Mouse as well as all associated graphics, logos, and/or other trademarks, tradenames or copyrights are the property of the Verizon Wireless Center and/or Modest Mouse and are used herein for factual descriptive purposes only. We are in no way associated with or authorized by the Verizon Wireless Center and/or Modest Mouse and neither that entity nor any of its affiliates have licensed or endorsed us to sell tickets, goods and or services in conjunction with their events.